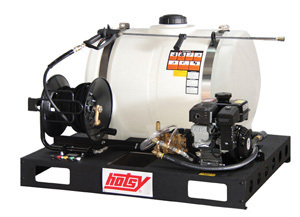 For professionals, Hotsy is the top choice for industrial pressure washers. 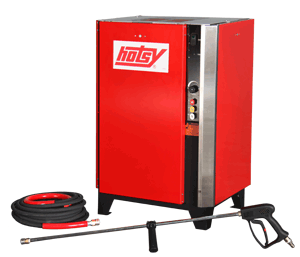 We are proud to offer the Hotsy line of power washers, which are available in hot or cold water models. 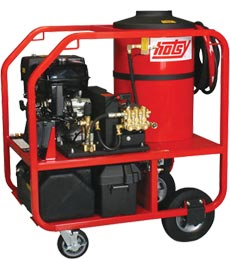 Depending on your needs and the implements you’re cleaning, we will provide a portable or stationary model, powered by electric or gas. 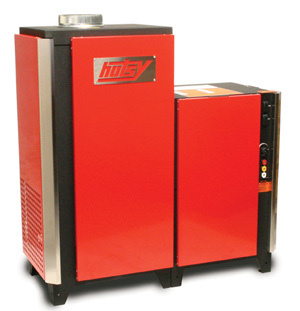 Heating options include diesel, LP or natural gas fired. 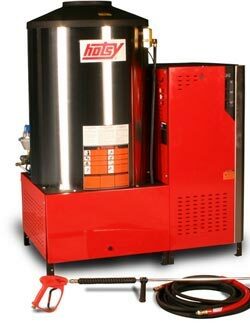 Don’t worry about the choices, we are here to assist in every step of your decision, to ensure you select the best model for your application. 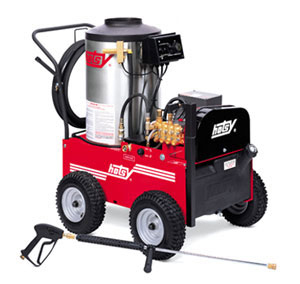 If the surface you’re cleaning has grease or oil, you’ll need a hot water pressure washer. 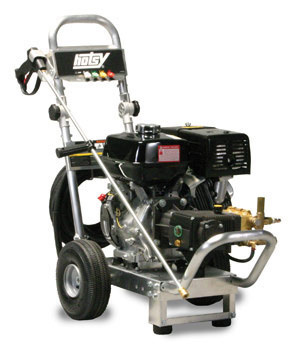 With Hotsy’s efficient upright burner, schedule 80 heating coil and excellent warranties, you won’t find a better hot water pressure washer. 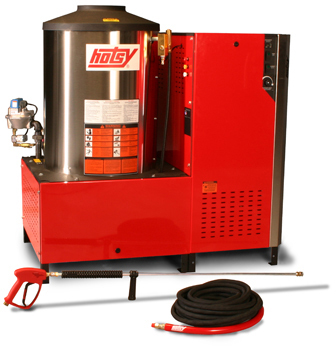 Keep in mind that you get what you pay for, so if you’ll be using the washer often, choose a commercial strength washer such as Hotsy. 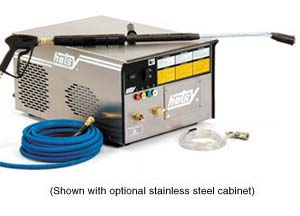 With proper maintenance and service, it will last for years to come. 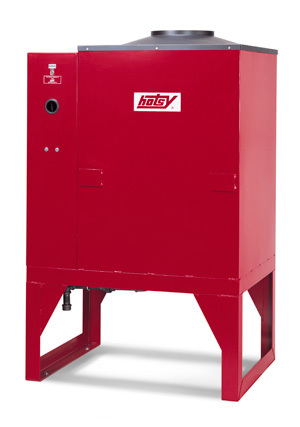 And when combining with Hotsy detergent, you can help protect your equipment investment and clean faster. 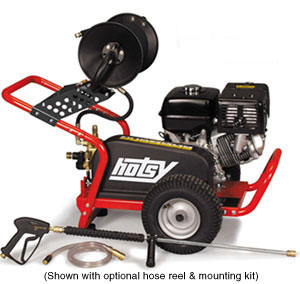 Our most rugged cold water model features either a gas engine or electric motor with belt-driven Hotsy Triplex pump. 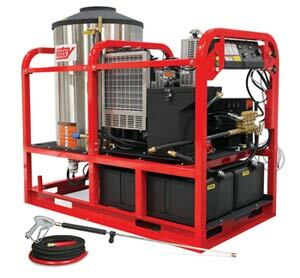 All-steel frame and cage; gas models available in 2-wheel or 4-wheel versions. 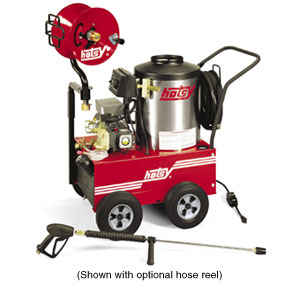 (shown with optional hose reel) Very rugged, but more compact, this series features a gas engine with belt-driven Hotsy Triplex pump. 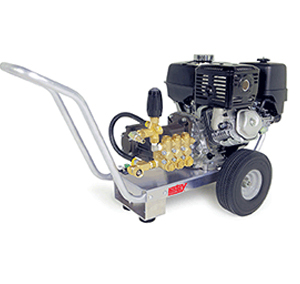 Powered by Honda GX engines. 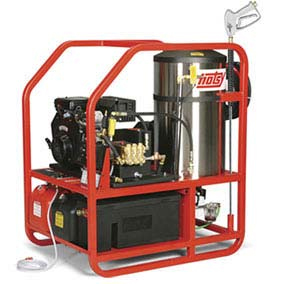 The four models in the DA Series are powered by reliable Honda engines and use a 5 to 13 HP direct drive pump delivering power up to 3.8 GPM @ 3500 PSI. 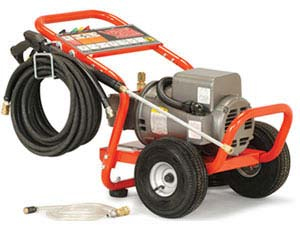 Hand-held model powered by a Honda GX engine. 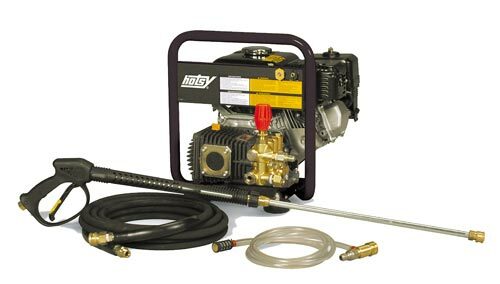 Direct Drive, weighing only 70 pounds. 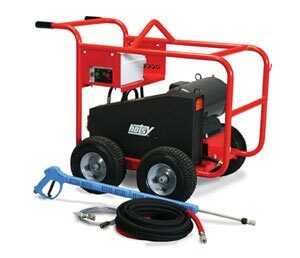 Electric powered with a Direct-Drive pump, the EP models are portable with 10” tubed pneumatic tires for easy maneuvering. 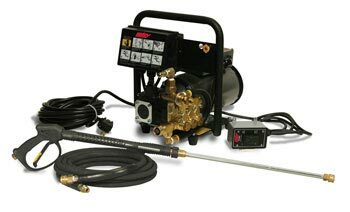 Light weight hand-held design; electric powered provides 1.8 GPM @ 1400 PSI. 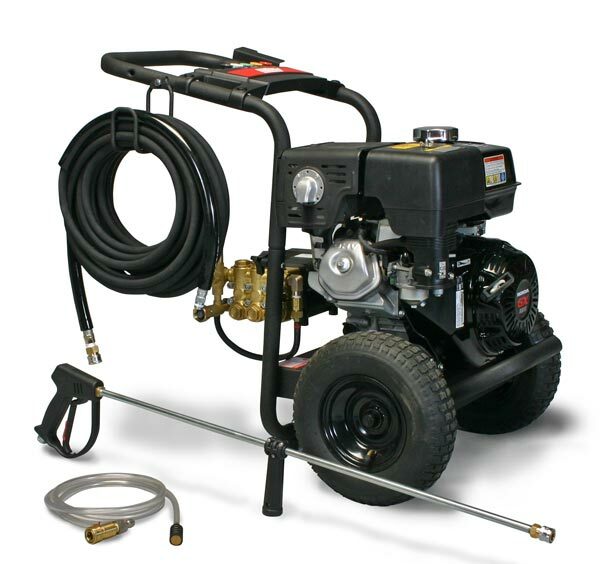 The UTV Buddy is our skid style model of the cold water gasoline-powered line, delivering cleaning capability of 2700 PSI. 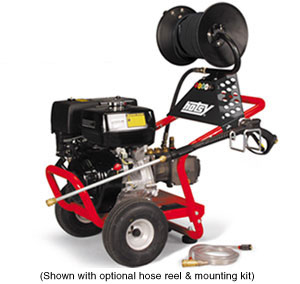 The UTV Buddy fits most utility vehicles and pick-up trucks, and is driven by a Subaru engine and features a reliable direct-drive triplex pump, 100’ Hotsy hose reel and is ETL safety certified. 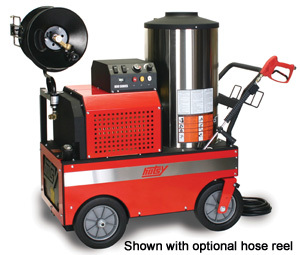 If you have questions or need pricing, please give us a call at 844-694-6879. 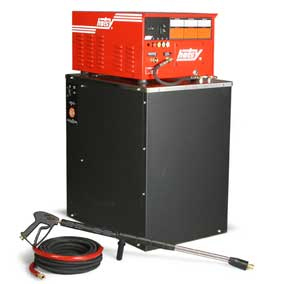 We are located in Bridgeport, CT at 139 Bay Street, and service Western CT including Stratford, New Haven, Waterbury, Norwalk and Westchester county NY, including Poughkeepsie, Middletown and Yonkers.